This week we are going to wrap up our discussion of manure (I mean it this time!) with a look at the topic of ‘livestock manure’. Basically this is just the catch-all phrase for all those typical types of animals bred and raised on farms. These are in fact the animals most often associated with the term “manure”. Aside from the value of livestock manure as a worm food, the large-scale vermicomposting of these wastes also has considerable potential from an environmental and horticultural standpoint. As the scale of farming operations has continued to increase, so too has the need to find better manure storage and disposal solutions. Vermicompost produced from manures has also been shown to be an outstanding growth medium for plants – generally outperforming most regular composts and other vermicomposts (created from different starting materials) in academic research trials. These wastes generally come in two different forms. Firstly, there is what’s known as “pen manure” – basically just manure (and urine) mixed with straw or some other carbon-rich bedding. The other type would be the manure ‘slurry’ – essentially, the waste products are continually washed away (with water) from the animal holding areas and the resultant liquid is then pumped into some sort of storage tank or reservoir. In both cases, the manure can be an excellent food source for worms, but the slurry manure definitely has some advantages. Primarily due to the washing (or more accurately, dilution) process, slurry manure solids – which DO need to be separated prior to use – tend to have lower levels of ammonia and inorganic salts, and can generally be fed directly to the worms without any further treatment. That being said, if you plan on working with any type of manure – including separated cattle solids – on a medium to large scale, it is highly recommended that you pre-compost the material for a short period of time (typically 1-2 weeks) prior to adding it to your system. 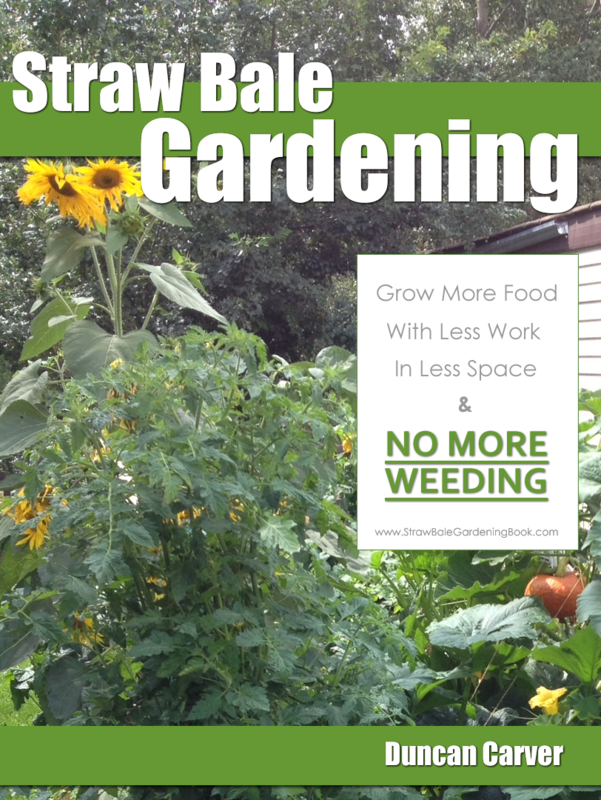 This will greatly reduce the occurrence of hot zones in your beds, which can of course cause your worms considerable harm, or at least lead to mass migration out of the system. If you are focused on selling high quality vermicompost, the precomposting process is also very important since it will help to ensure that no pathogens or viable weed seeds end up in the final product. Like cattle manure (particularly that of dairy cattle), pig manure is also commonly collected and stored in a slurry form, and as such, works best if the solids are then separated out. According to Edwards and Bohlen (1996), pig manure solids “are probably the most productive wastes for growing earthworms” (p. 246). The authors do go on to point out that this material does tend to contain ammonia and salts, thus some composting or additional washing may be warranted. Pig manure can also contain relatively high levels of copper (and other metals), so you’ll likely want to have your final product analyzed if you plan to market the vermicompost produced. Not only is pig manure the “most productive” for worm growth, but the vermicompost produced is also reported to promote plant growth better than other vermicomposts and composts in general (Atiyeh et al. 1999). Horse manure is an excellent growth medium for composting worms, as has been discussed a number of times in previous newsletters. Even when relatively fresh it seems to be quite worm-friendly, as indicated by the rapid colonization of zones in a manure where new material was recently added (based on personal observations). Unlike cattle, horses have a somewhat inefficient digestive system, and as such they tend to eat a lot and produce a lot of manure in a given day. Because the food materials (grass, hay etc) has not been as well-digested, it will generally have a greater potential for heating – hence it is referred to as one of the ‘hot’ manures. This, coupled with the fact that horse manure tends quite bulky (ie. large particle size) and also can contain a lot of weed seeds, suggests that it too should be pre-composted before adding it to a vermicomposting system. Generally, these wastes are among the LEAST worm-friendly of the manures when fresh, due to very high levels of salts and ammonia. If you plan to use avian manures you will definitely need to wash and/or compost the material prior to use. To help balance the C:N ratio, these wastes should also be mixed with peat moss, shredded paper or some other ‘bedding’. Bird wastes also tend to be very dry in comparison to other livestock manures, so you will also likely need to add water in general (which of course can be accomplished via ‘washing’). There are of course plenty of other animals that can be found on a farm (sheep, goats, llamas etc), and their manures can also be used for vermicomposting. As a general rule of thumb, if the animal consumes a primarily vegetarian diet their manure will be worm-friendly – but some sort of pre-treatment may still be warranted. Ok – well, I think it’s safe to say that we have talked about manure for long enough. I’m sure we’ll revisit the topic in future newsletters, but for now it is definitely time to moooove on (sorry – couldn’t resist). 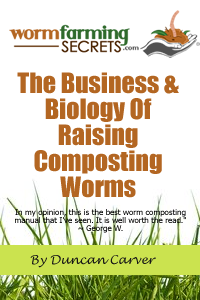 In fact, we are going to leave the topic of ‘worm food’ altogether, and next week we will start looking at various types of vermicomposting systems.